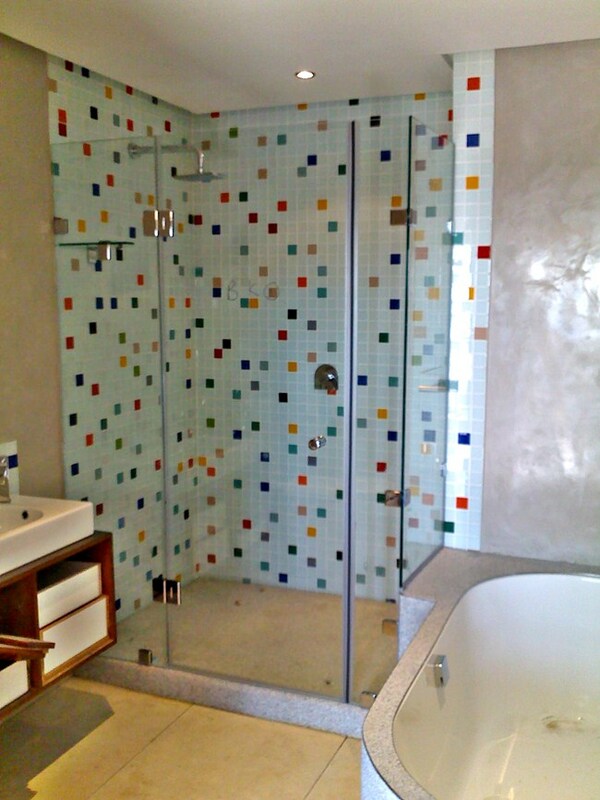 Our frameless shower doors and panels consists of 8mm clear toughen safety glass that is fixed to the walls and tiles with chrome brackets and hinges. 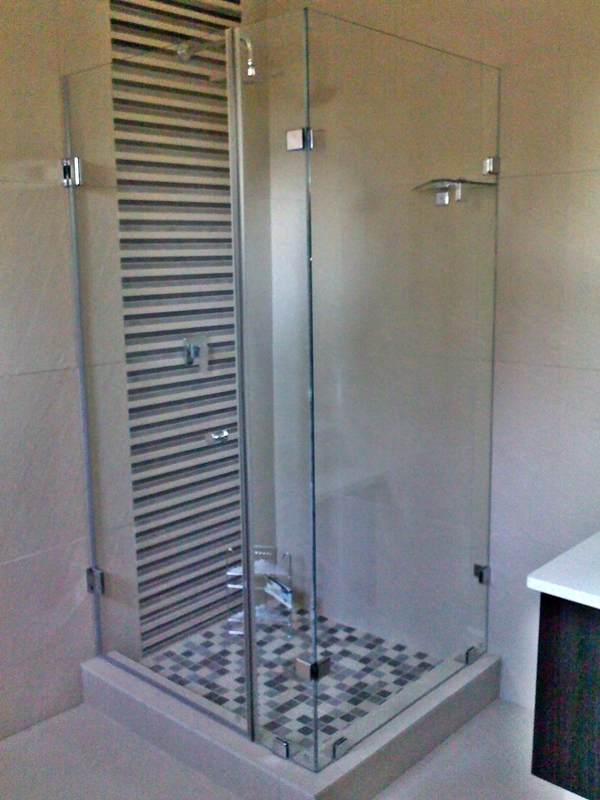 We support our frameless fixed shower panels with a 300mm x 300mm glass shelve. 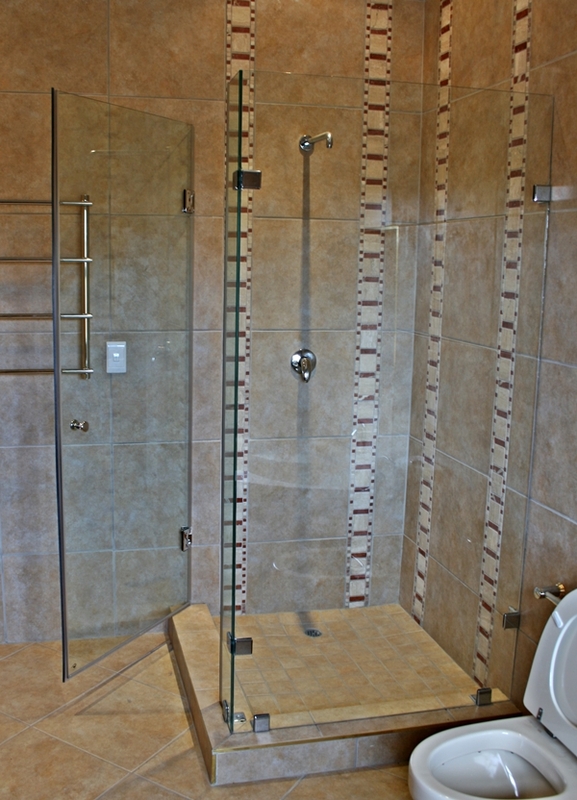 Frameless showers are sealed with a crystal clear silicone on the fixed panels and for the hinged shower doors we use a clear rubber seals and magnets to ensure no water leakage on any of the shower panels.